1996 was a good year for Britain. Not only did they make it to the semi-finals of the European championships, but British boutique lookfantastic launched online. Today, it operates worldwide with over 14,000 products available from more than 350 leading brands. It’s got the likes of Estee Lauder, GHD, Dermalogica and many more available, making this site one hot ticket when it comes to beauty. Look Fantastic boasts a huge selection from leading brand Mac, so you can treat all aspects of your face to the finest products, from precision lip pencils to subtly brilliant bronzers. LF can take care of other stuff too, including gorgeous fragrances, monthly beauty boxes and high quality products for men. If your makeup drawer, handbag or bedside table could do with a little refresh, this is one website that is more than a little refreshing. With Look Fantastic, everyone has the opportunity to look fantastic! How do I use my Look Fantastic discount code? Sign up to Look Fantastic’s newsletter to hear about some brilliant offers! Can I get free delivery with Look Fantastic? Yes, as long as you spend more than the equivalent of £50. How can I pay at Look Fantastic? You can pay with Visa, Mastercard, Maestro, AmEx and PayPal. Does Look Fantastic have an offers page? It sure does, get down here to see what it’s all about. You can return your Look Fantastic purchase within 14 days of receipt to receive an exchange or refund. Item must be in original conditions and packaging. Contact Look Fantastic customer services to arrange your return. Full policy here. 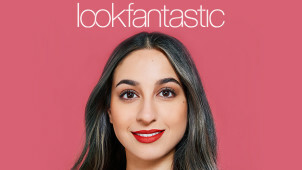 Look Fantastic is a leading online brand in all things beauty. Reigning as Europe’s number one beauty retailer for a number of years, it’s the ultimate destination for getting gorgeous. Shop its range with a Look Fantastic discount code from vouchercloud and these incredible products will cost you even less so whether you’re after some new hair extensions, a go-to moisturiser or facial sponge, this is one site that’ll deliver nothing but the best. You’ll find plenty of shampoo on Look Fantastic’s pages, but did you know the word originates from India? It made its way into the english language during the Imperial period, from the Hindi word ‘Champo’ that originally meant ‘kneading and pressing muscles to relieve fatigue’. It’s one of many English words to originate in India, such as ‘bungalow’, ‘veranda’, ‘pyjamas’, ‘khaki’ and more! They’re all documented in the infamous ‘Hobson-Jobson dictionary’ so when you’re done reading that, grab yourself some shampoo here! There have never been more ways to take care of your hair, and you can get hold of all the products you need at Look Fantastic. With everything from shampoo to conditioner, hair oil to hair straighteners, you can give your head the treatment it deserves here. Use a Look Fantastic promo code from vouchercloud and you’re sure to save money on your next batch of products, so whether you’re curling, thickening or colouring, LF has you covered.